Power BI Premium and Analysis Services enable you to build comprehensive, enterprise-scale analytic solutions that deliver actionable insights through familiar data visualization tools such as Microsoft Power BI and Microsoft Excel. This session will deep dive into exciting new and upcoming features. Various topics will be covered such as management of large, complex models, connectivity, programmability, performance, scalability, management of artifacts, source-control integration, and monitoring. 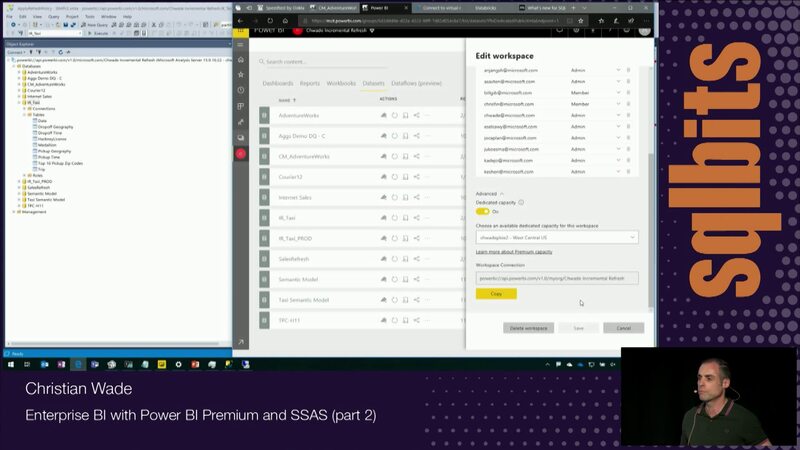 Learn how to use Power BI Premium to create semantic models that are reused throughout large, enterprise organizations.